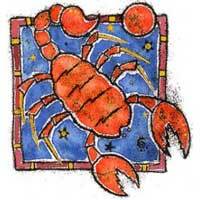 You are compatible with Scorpio from the stellar point of view. This sign influences the 9th house, and particularly aspects related to travel, education, philosophy, and the ability to perceive what is necessary to have a bright future. The two signs are in a favorable position. Neptune and Pluto combine their forces in a unique way that favors intuition and knowledge. You are on the same page with Scorpio: You are both, teacher and student, and you are preoccupied by things related to metaphysical. Together you are a team that could promote the unusual, the unique, and generally the domains reserved to people with exotic tastes. Domains you should focus on are education and places for learning, including specialized schools. 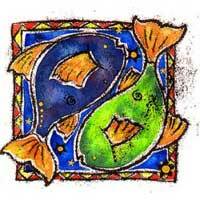 Scorpio and Pisces are fascinated by mystery, are intrigued by the unknown, and will benefit from these things. This money can bring profit, and variety, personal satisfaction. Together you can establish a course, program, club or sessions devoted to astrology, or psychic phenomena. Scorpio will find you physically attractive, and you also have an idealistic picture about him. You see a man that you can learn a lot from, who can help you use your talents for a practical and profitable purpose. The most important thing in this relationship is that the two agree to share their knowledge. If Scorpio and Pisces are starting to keep secrets from one another, everything will fall apart. The rest is up to you!